Whether I'm ready or not, the holidays are right around the corner, and for me, that means the coming weeks will be filled with baking. Each year, I do a lot of baking with my mom, aunt, and grandmother. We make some traditional family recipes, but we also like to give new recipes a try each year, too! 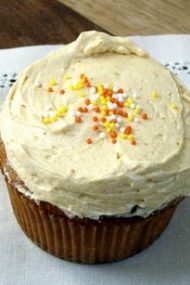 Lately, though, I have been trying to learn to bake without using recipes. I am fairly good at improvising when cooking, but I get into dangerous territory when trying to wing it with a batch of cookies or a pie crust…that is until recently. A few weeks ago, I picked up a copy of the book Ratio by Michael Ruhlman and it has taught me more about baking than I learned in my 20+ years of following recipes. 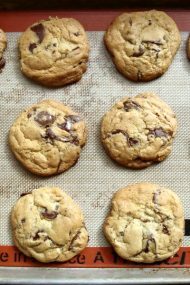 Basically, baking can be reduced to key ingredients, that when combined in the proper proportions (measured by weight, not volume), yield the standard cookies, cakes, and pastries that we know and love. 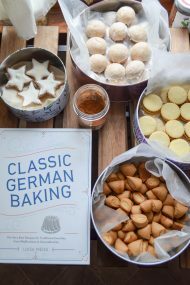 By learning the ratios you can learn to bake without cookbooks and recipes, which not only allows you to be creative, it also gives you the ability and knowledge to adapt to what you have on hand or dietary restrictions. One of the key ingredients in baking ratios (particularly the cookies, cakes, and pies that we all make around the holidays) is butter. When dealing with butter, in addition to the ratios, you also need to know two basic techniques – creaming and cutting. Creaming butter is often one of the first steps in a recipe, and it refers to beating butter with sugar until it is light and fluffy. Creaming butter and sugar together whips lots of tiny air bubbles into the butter, and is typically used in cakes and cookies. 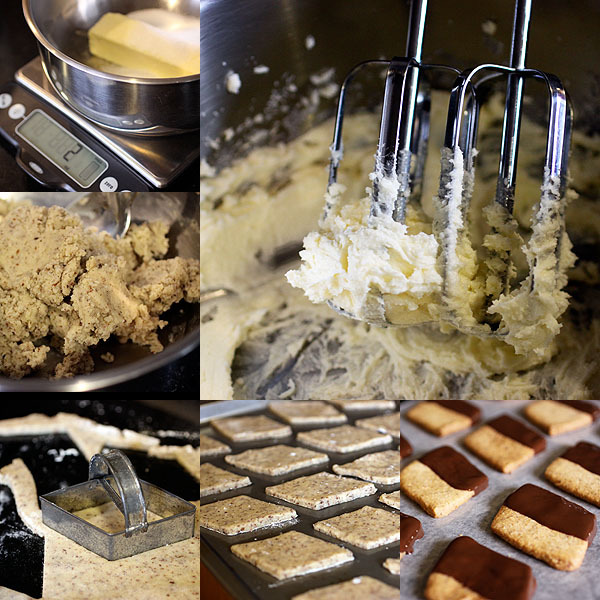 It is essential that the butter is softened (at room temperature) but not melted. To cream butter, simply add sugar to the softened butter, and beat with a hand mixer or the beater blade of a stand mixer. Once you are familiar with creaming butter, you can apply it to the cookie ratio – one part sugar, two parts butter, and three parts flour. By substituting some almond flour (or almond meal) for part of the flour and adding some almond extract, I was able to whip up these delicious almond shortbread cookies. Dipped in dark chocolate, they are perfect with a cup of coffee for an afternoon snack! Preheat the oven to 350 ° F. Cream together the butter and the sugar, until the mixture is light and fluffy. Add the almond extract and the salt, beating to incorporate. Gradually beat in the flours until the mixture forms a dough. Roll out the dough on a floured surface until it is about 1/4 – 1/2 of an inch thick. Use a cookie cutter to cut diamond shapes out of the dough, placing them on a lightly greased cookie sheet. Bake for 12-15 minutes, until golden. Cool on wire racks, and dip in melted chocolate, if desired. Cutting butter is the second technique that is essential for holiday baking. Cutting butter refers to incorporating butter into flour (as opposed to sugar, when creaming) to create a crumb-like mixture, with small beads or pieces of butter left intact. The bits of butter are the key to flaky pie crusts and biscuits. 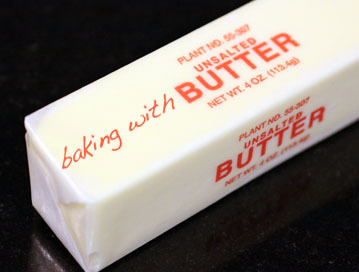 Instead of softening the butter first, butter should be cold (even frozen) when it is cut into the flour. A pastry blender works well for cutting butter, but it can also be done by using your fingertips to gently press the butter and flour together. One of the most common applications of cutting butter is in pastry crusts. A basic pie crust can be made by using a ratio of three parts flour, two parts butter, and one part water. 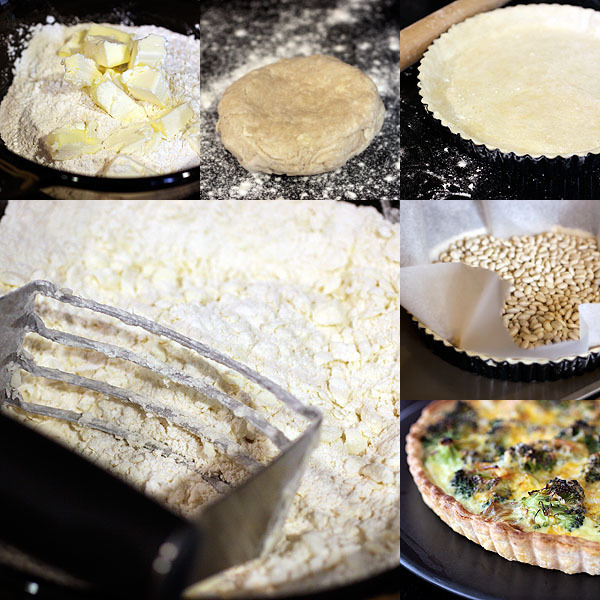 Adding a bit of sugar will yield a beautiful crust for a sweet pie, and a pinch of salt is all that is needed for savory tarts or quiches. I used this particular recipe to make a broccoli and cheese quiche. The recipe yields enough dough to fill one 9-inch tart pan. It can easily be doubled to make enough for a two-crust pie. Measure the flour into a mixing bowl. Add a pinch of salt. Cut the butter into chunks and add to the flour. Using a pastry blender or your finger tips, quickly cut the butter into the flour, forming a crumb-like texture with small bits of butter left intact. Gradually add the water, mixing with your fingers just until the dough comes together. Form the dough into a disk, cover, and refrigerate until ready to roll out. The cooking time will depend on the ingredients that are added. To pre-bake or "blind bake" the crust (for quiches or custards), bake for 15 minutes at 375 ° F, weighted down with parchment paper and pie weights or beans. Remove the weights and bake for an additional 10 – 15 minutes, until golden. I’m definitely putting Ratio on my list for Christmas. I need that book! Nice job Jen! Great information! I, also , am going to put that book on my list! Thanks! Excellent post. You made it clear why I want to learn to apply the ratios that I’ve been hearing so much about. Thanks. Thank you for this info. The book just went on my christmas list too. Excellent walk-through… Very informative, easy to understand, and helpful!